This was a terrific read,paranormal perfectly fused with romance! The story focused on Savan a tough as hell negotiator out to save his planet coming face to face with Brinn the "ice queen" herself,and this time she will make sure he pays for denying her request years before,a request that could have saved the life of her father. The characters were incredible, strong, independent, ready to fight to get what is needed to protect the ones they stand for,and hopelessly attracted to each other. And so the incredible tale starts. They come under attack, they fight, they run from enemies and they fall deeper and deeper for each other in truly spectacular fashion.The book was all action from start to finish and I could not stop reading ,had be glued to the edge of my seat. The author gave me as reader a very detailed and clear insight into a future which could very well be ours one day. I could very clearly and easily take the descriptions and form a mental image so vivid that for me as reader it was as if I could actually see and touch the "world" being depicted by the author. The story of enemies becoming lovers has never been written like this,passionate, filled with overwhelming emotion and if I may say so loads of guts from both characters,which totally rocked! I loved the hate-love dialogue with the characters going from "I seriously hate your guts" to "I can't get enough of you" moments,and this is what gave the book that extra spice and sizzle. Not everyone is a fan of paranormal and not everyone is a fan of romance,but this book my friends will melt any doubts you have and fuse you to this authors books for the rest of your life! Anna,excellent work I am hooked! 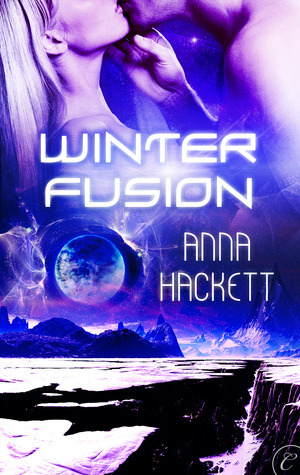 Fusing romance with paranormal that will forever remain "frozen" in your heart!